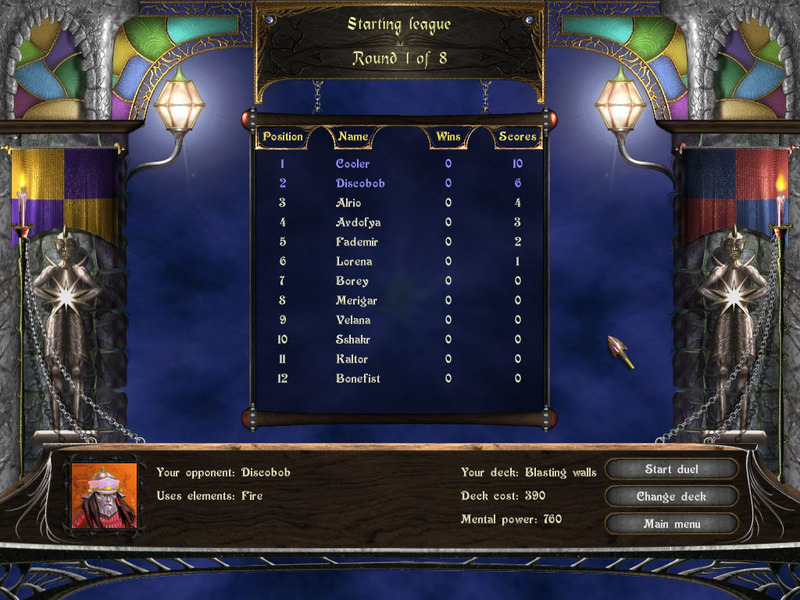 We welcome all card players and invite you to challenge your brains and hone strategic thinking skills in a new turn-based strategy card game Astral Masters. The game is builded on the success of its massively popular predecessor - Astral Tournaments that won the hearts and minds of thousands of card players around the world. 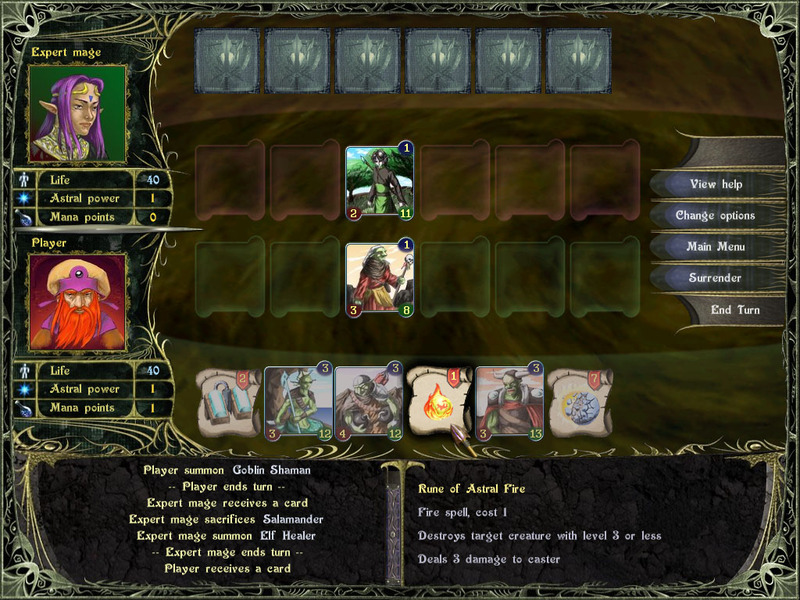 Take a fantastic tour to the elaborately themed world of mages and wizards and engage into hot duels with hundreds of sneaky and artful magicians who will try to stop you on your way to Archmage ranks. In Astral Masters you will become a mage who specializes in some magic element such as Fire, Earth, Air, Water, or all at a time. 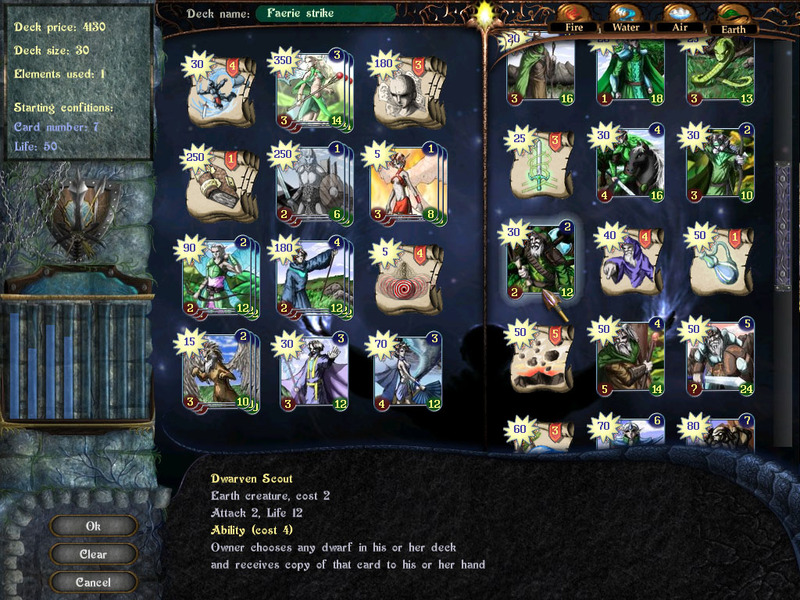 Also, there will be six creatures to help you attack the enemy mage. Your life will depend on the number of magic elements you use and most typically it'll be 40 points. Your objective will be to weaken your opponent by casting spells and summoning creatures so that the enemy's life falls down to zero. The strength of your attack will depend on your overall power - the higher it will be, the more chances for victory you'll have. As a usual, you may download trial version (6.2 Mb) and decide if it fits you. If you find it good enough, you should register it. Registration fee is only $19.95! There are no crack, serial or keygen for Astral Tournament on this site. 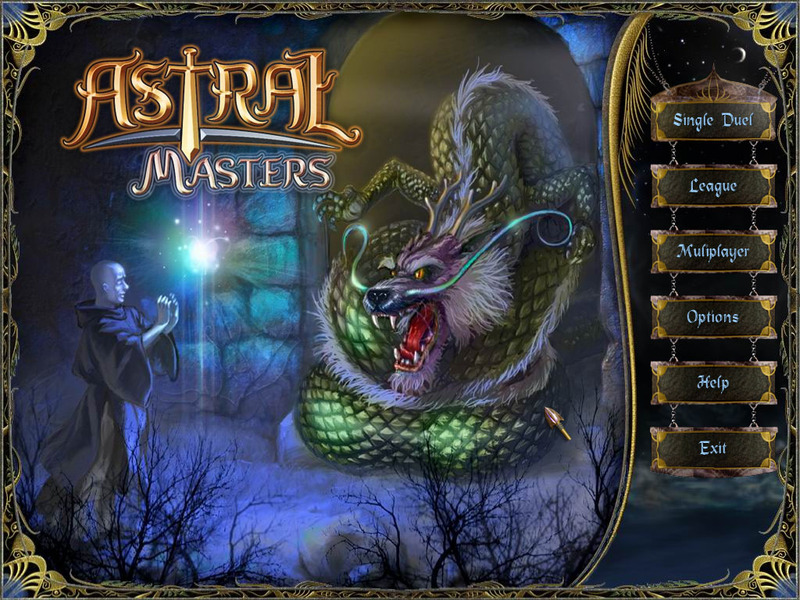 Astral Masters is an advanced sequel of Astral Tournament. This game is an unusual remake of arkanoid game. 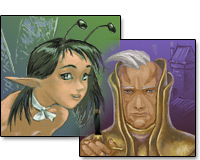 Your goal is to destroy alien turrets to complete each level. You don't need always to deflect the plasma sphere, but you really need to evade the alien shells and missiles to survive. You can manipulate colored bricks with arrows on them. When you click on the brick it moves accordingly to it's arrow direction. Groups of two or more bricks with the same color are dissapearing, but each turn some new bricks come to the field.